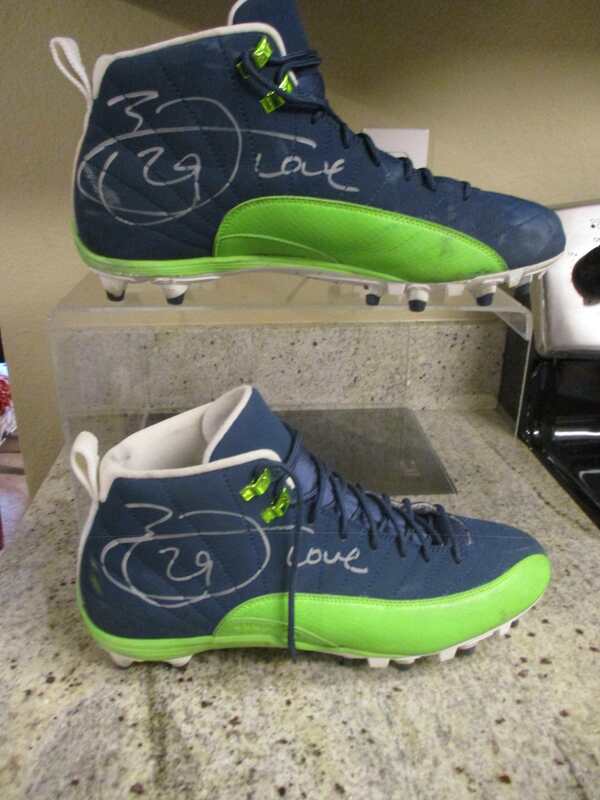 I am moving overseas and need to part with most of my worldly belongings, so I am offering this pair of signed cleats that I purchased in a KamCares auction. 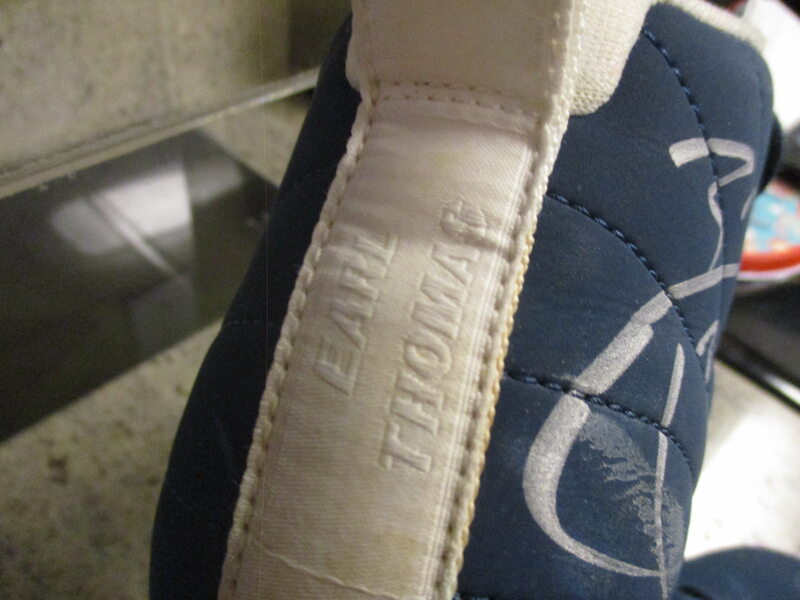 The cleats are Nike custom, worn and signed by Earl with "Love" written on both shoes because it was a time when everyone loved their teammates like brothers. 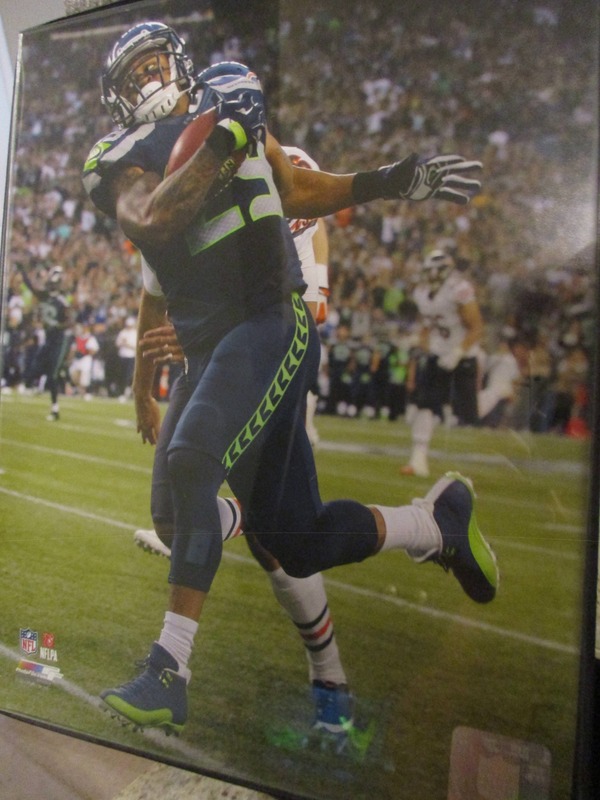 It will come with a framed photo of Earl wearing shoes that look the same (don't know if they are the same pair, though), an acrylic case designed for hanging on a wall, and the letter from the KamCares Foundation as provenance. Asking $300 obo. I'm interested. Still have these? 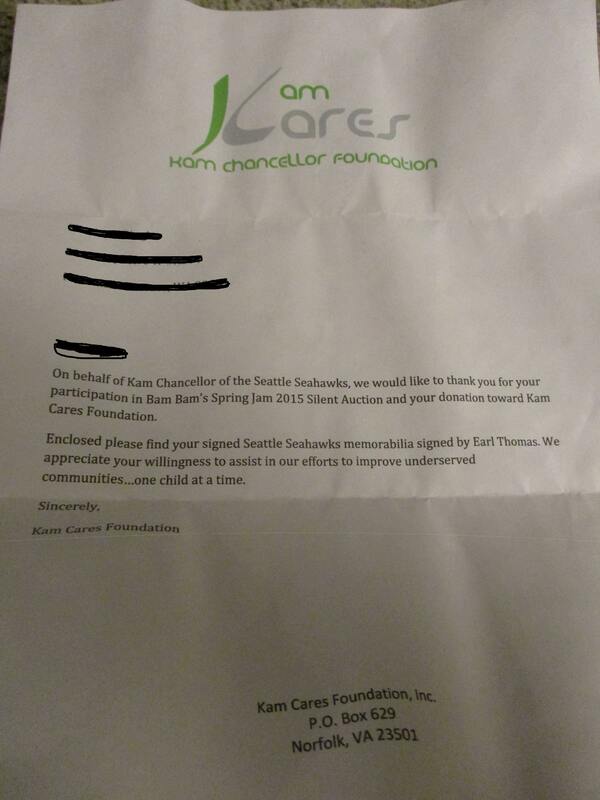 You live in the Seattle area?